Contrary to popular belief—we believe every season is road trip season. No, we’re not talking about driving cross-country to California, but exploring fun cities and places that are closer than you think. Home will always be in Toledo, but planning a day-trip to a nearby destination is the perfect way to change up your scenery and have some fun with your family. While the opportunities for road trips around the Midwest are endless, we narrowed down our top 6 places to visit—all within the day. Now what are you waiting for? Grab a few snacks and drinks and hit the road! 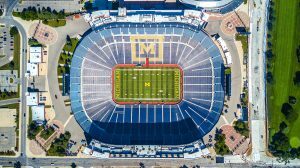 Home to over 40,000 students, Ann Arbor is the quintessential college town. From great sporting events, to delicious food, it’s a town that has a little something for everyone. A popular destination for tourists of all ages, Ann Arbor is home to museums with prestigious collections, eclectic nightclubs, and hip independent bookstores. When not watching their ranked football or basketball teams, head downtown to the best deli there is—Zingerman’s Deli. Don’t let the line deter you, the food is worth the wait! Once you’re done feasting, make sure to take a tour of campus before heading back home. From its roots as the manufacturing capital of the country, to present day bustling hub of arts and food, Cleveland is the new place to be. With endless activities and restaurants to visit, there will be no time wasted when visiting this urban destination. Although a big city, Cleveland is affordable compared to bigger cities like San Francisco or New York City, yet still offers the same amenities. Take a stroll through the Cleveland Museum of Art (it’s free!) or through the legendary Rock and Roll Hall of Fame. Love sports? Head to a Cleveland Indians game. Before you head home, walk along the gorgeous beaches of Lake Erie. 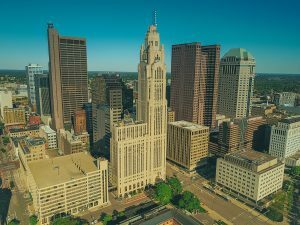 The capital of Ohio, Columbus offers a wide variety of activities that will engage everyone in the family. Another city home to a bustling college, The Ohio State University, there will be no shortage of buckeyes walking around. From the Inniswood Metro Gardens, to the famous Columbus Zoo, this city should be on the top of your list of places to go. Plan a day touring the college grounds while heading in and out of its vibrant cafes. Before you go, make a pit stop in the German Village. Settled in the 1800s by German immigrants, this neighborhoods charm will make you feel as if you’ve taken a step back in time. Whatever your nickname is for this city, most people can agree that Cincinnati is one of the best places to go. Known as the “Queen City,” Cincinnati has a lot to offer. Although on the smaller side, this city boasts great food, amazing shopping, and fun sporting events. home to the historic Music Hall where the Cincinnati Symphony Orchestra and the Cincinnati Ballet performs, there is no shortage of artistic and cultural places to visit. Can’t decide where to eat? Try out the famous Skyline Chili and Graeter’s ice cream. You’ll drive home happy with a full belly. Head to this destination to find adventures for the whole family. 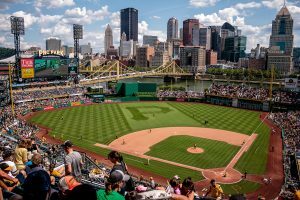 From foodies and art enthusiasts to sporting fans, Pittsburgh is home to endless amounts of fun. Don’t let its skyline full of skyscrapers intimidate you as its brimming with activities perfect for everyone. Although impossible to experience everything Pittsburgh has to offer in one day, on the top of your trip to-do list should include the Andy Warhol Museum and the Carnegie Museum of Natural History. Once you work up an appetite, visit the famous Strip District. Home to various types of delicious food, even your picky eater will find something they like. Before heading home, take in Pittsburgh’s gorgeous skyline at night and drive up to Mount Washington—the views are breathtaking. Our favorite saying is, home is where the heart is. Just in your backyard and quick car ride away, Toledo is full of activities and attractions that everyone in the family will enjoy. Known as the “Glass City,” Toledo is home to picturesque neighborhoods, gorgeous parks, cultural attractions, and a famous zoo! From microbreweries to Botanical Gardens, to museums and exhibitions, you’ll never run out of places to go in Toledo. Love to eat? Take your family on the Toledo Flavors Food Tours—what a perfect day!